Kanye West founded the GOOD Music label in 2004. Since the label's inception, multiple acts have been signed to the label, including close collaborators of West such as Kid Cudi, Common, John Legend, Pusha T, Big Sean and Travi$ Scott. West first announced plans for a GOOD Music album in October 2011 via his Twitter account, writing: "GOODMUSIC.THE ALBUM.SPRING2012". Later on May 23, 2012, the title was revealed in part with a film, Cruel Summer, which debuted at the Cannes Film Festival. The album was originally slated for release on August 7, 2012, but underwent several delays. Pusha T said that he recorded over 20 verses for the album, and a song with Big Sean and Common called "Trash Bags" that was ultimately scrapped. American rapper Azealia Banks also said that she recorded with West earlier in 2012, but her contributions were not included on the album. Cruel Summer was made available to pre-order on the website of the Japanese branch of retail chain HMV on September 1, 2012, revealing the album's track listing as well as each track's respective performers. The album's artwork was designed by DONDA, West's creative agency. "Mercy", a collaboration between Kanye West, Big Sean, Pusha T and 2 Chainz, was released as the album's lead single on April 3, 2012. The track was premiered by Funkmaster Flex's Hot 97 radio show and was released onto the Internet the following day onto West's official website. The release of the track continued West's GOOD Fridays, a music giveaway that provided free MP3 downloads every week, which had been on hiatus since December 2010. The song peaked at number 13 on the US Billboard Hot 100 and topped the Billboard Hot R&B/Hip-Hop Songs and Hot Rap Songs charts. "Cold", featuring DJ Khaled, was released as the album's second single. The track was then released as a single onto iTunes on April 17, 2012. Following its digital release, the song impacted urban contemporary radio on May 8, 2012. The single peaked at numbers 89 and 69 respectively on the Billboard Hot 100 and Hot R&B/Hip-Hop Songs singles charts. "New God Flow", a collaboration between Pusha T and Kanye West, was released onto iTunes as the album's third single on July 21, 2012. It first premiered at the 2012 BET Awards on July 2, 2012, with West performing an a cappella version of his verse. The song peaked at number 89 on the Billboard Hot 100. "Clique", a collaboration between Kanye West, Jay-Z and Big Sean, was released as the album's fourth single on September 7, 2012. The single peaked at numbers 12 and 2 respectively on the Billboard Hot 100 and Hot R&B/Hip-Hop Songs singles charts. Cruel Summer received moderately positive reviews from critics. At Metacritic, which assigns a normalized rating out of 100 to reviews from mainstream publications, the album received an average score of 68, based on 28 reviews. Christopher R. Weingarten of Spin felt that it is "not a cohesive crew album" and called it "a runway show of small, costly, uncomfortable missteps." Nathan Rabin, writing in The A.V. Club, said that it "feels like an unusually crowded solo album, but West’s affiliates don’t share his gift for fusing self-aggrandizement with soul-searching reflection." Slant Magazine's Ted Scheinman observed no "concept or production value to hold" the album, which he felt "isn't a Kanye album per se, but even as a high-pedigree compilation, it still falls flat." Jon Caramanica of The New York Times complimented the album's four singles for "show[ing] [West] at or near his best", but found GOOD Music's other rappers to be "a mixed bag". Jonah Weiner of Rolling Stone called the album "occasionally exhilarating, ultimately underwhelming", and observed "no grand statements, but plenty of hot lines", with West as "the star ... who bum-rushes every song he's on like it's someone else's acceptance speech". The magazine later named it the 24th best record of 2012 in a year-end list. Adam Fleischer from XXL felt the songs featuring West were Cruel Summer's highlights. Andy Gill of The Independent viewed it as less "ambitious" than West's own albums and said the songs "may lack grandeur, but they bring a sinister, stalking ambience that matches the blend of money, mystery and menace in the contributions of collaborators". Paul MacInnes of The Guardian wrote that his "penchant for superabundance is one of the most exhilirating [sic] things in pop music." Priya Elan of NME felt that the album is "essential" as "a cross section of the most brilliant, solipsistic mind in rap". MSN Music critic Robert Christgau was less enthusiastic and said the rapping is clever but plagued by a "Conspicuous Consumption Equals Authentic Negritude" philosophy, although he was impressed by the music: "The surprise is that the attention requires so little effort, because there's always a musical touch to keep you alert". The album debuted at number two on the US Billboard 200, selling 205,000 copies in its first week. It also entered at number one on the Billboard Top R&B/Hip-Hop Albums. Cruel Summer debuted at number four on the Canadian Albums Chart, with first-week sales of 12,000 copies in Canada. As of November 4, 2012, Cruel Summer has sold 389,000 copies, according to Nielsen SoundScan. "The Morning" and "Cold.1" feature uncredited vocals by Kanye West. "Clique" features additional vocals by Cocaine 80s, Aude Cardona and Travis Jones. "The Morning" features additional vocals by Andrea Martin. "Cold.1" features additional vocals by DJ Pharris. "Higher" features additional vocals by Kanye West, John Legend and 2 Chainz. "Sin City" features additional vocals by Cocaine 80s. "Don't Like.1" features additional vocals by Noah Goldstein. "Mercy" contains samples from the recording "Dust a Sound Boy", written by Denzie Beagle and Winston Riley, and performed by Super Beagle; samples from the recording "Cu-Oonuh", written by Reggie Williams and Winston Riley, and performed by Reggie Stepper; and samples from the recording "Lambo", performed by YB. "New God Flow" contains samples of the recording "Synthetic Substitution", written by Herb Rooney, and performed by Melvin Bliss; samples of the recording "Mighty Healthy" (a capella), written by Herb Rooney, Ronald Bean, Highleigh Crizoe and Dennis Coles, and performed by Ghostface Killah; samples from the G.I. Townsend recording "Sermon Fragment", written by Townsend; and samples from "Bôdas De Sangue", written and performed by Marcos Valle. "The Morning" contains elements of "Get Me to the Church on Time", written by Alan Jay Lerner and Frederick Loewe. "Cold" contains interpolations of "Illegal Search", written by James T. Smith and Marlon L. Williams, also includes a sample from "Lookin' at Me" by Mase. "The One" contains samples of the recording "Public Enemy No. 1", written by Carlton Ridenhour and James Boxley, and performed by Public Enemy; and samples of the recording "Double Barrel", written by Dave Barker, Winston Riley, and Ansell George Collins, performed by Dave and Ansell Collins. "Don't Like" contains samples from the G.I. Townsend recording "Sermon Fragment", written by Townsend; and interpolations of "Under Mi Sensi", written by Barrington Levy and Paul Love. Credits for Cruel Summer adapted from Allmusic. ^ "Production Credit: Lifted Talks "Mercy," Signing to G.O.O.D. Music & First Meeting With Kanye". XXL. New York. April 9, 2012. Retrieved October 14, 2012. ^ a b "Kanye West Presents Good Music Cruel Summer by Various Artists on iTunes". Retrieved 1 July 2016. ^ "Kanye West Presents Good Music Cruel Summer". Spotify. Retrieved July 28, 2017. ^ "Kanye West Presents Good Music Cruel Summer [Explicit]: Various artists". Amazon. Retrieved July 28, 2017. ^ "Kanye West's 'Cruel Summer' compilation leaks online". NME. IPC Media. September 14, 2012. Retrieved September 22, 2012. ^ "Kanye West". AllMusic. Prometheus Global Media. Retrieved September 8, 2012. ^ "Kanye West Announces G.O.O.D. Music Album". Rap-Up. Retrieved September 8, 2012. ^ Kaufman, Gil (May 18, 2012). "Kanye West Reveals G.O.O.D. Music Album Title, 'Cruel Summer' Film". MTV News. MTV Networks. Retrieved September 8, 2012. ^ "G.O.O.D. Music Album 'Cruel Summer' Pushed to September". Rap-Up. Retrieved September 8, 2012. ^ "Pusha T Says 'Cruel Winter' Is A 'Q-Tip/Kanye Thing'". HipHopDX. Retrieved 27 October 2012. ^ fashion, ASOS. "Shop-along Hangout with Azealia Banks". YouTube.com. Retrieved 30 November 2012. ^ "G.O.O.D. Musicコンピ『Cruel Summer』" (in Japanese). HMV Group. Retrieved September 8, 2012. ^ Horowitz, Steven J. (August 31, 2012). "G.O.O.D. Music "Cruel Summer" Tracklist". HipHopDX. Cheri Media Group. Retrieved September 8, 2012. ^ "Kanye West Reveals "Cruel Summer" Album Art : Various artists". Complex Magazine. Retrieved August 2, 2012. ^ Arnold, Don. "Kanye West Releases 'Mercy' on G.O.O.D. Friday". Rolling Stone. Wenner Media. Retrieved June 3, 2012. ^ "Kanye West Promises New Song Every Week Through Christmas – Music, Celebrity, Artist News". MTV Networks. August 23, 2010. Retrieved February 26, 2011. ^ a b c "Kanye West – Awards (Billboard Singles)". AllMusic. Rovi Corporation. Retrieved July 23, 2012. ^ Coleman, Miriam (April 15, 2012). "Kanye West Renames 'Theraflu' 'Way Too Cold'". Rolling Stone. Wenner Media. Retrieved April 23, 2012. ^ "Urban/UAC Future Releases (May 8, 2012)". All Access Music Group. Archived from the original on May 8, 2012. Retrieved July 5, 2012. ^ "New God Flow – Single by Pusha T & Kanye West". iTunes Store. Apple. Retrieved September 8, 2012. ^ "Kanye West Drops 'New God Flow'". Rolling Stone. Wenner Media. July 3, 2012. Retrieved September 8, 2012. ^ "Pusha T Album & Song Chart History: Hot 100". Billboard. Prometheus Global Media. Retrieved August 2, 2012. ^ "Clique – Single by Kanye West, Jay-Z & Big Sean". iTunes Store. Apple. Archived from the original on September 11, 2012. Retrieved September 8, 2012. ^ a b "Cruel Summer by G.O.O.D. Music reviews". AnyDecentMusic?. Left-hand column titled "Album to Watch". Archived from the original on September 29, 2012. Retrieved September 18, 2012. The Kanye West compilation 'crew' album featuring artists signed to his G.O.O.D. Music collective is getting a fairly lukewarm response. ^ a b "Cruel Summer Reviews, Ratings, Credits, and More". Metacritic. CBS Interactive. Retrieved September 19, 2012. ^ Jeffries, David. "Cruel Summer - Various Artists". Allmusic. Rovi Corporation. Retrieved October 3, 2012. ^ a b Rabin, Nathan (September 25, 2012). "Various Artists: G.O.O.D. Music: Cruel Summer". The A.V. Club. Chicago. Retrieved September 25, 2012. ^ a b MacInnes, Paul (September 20, 2012). "Kanye West presents GOOD Music: Cruel Summer – review". The Guardian. London. section G2, p. 21. Retrieved September 20, 2012. ^ a b Gill, Andy (September 21, 2012). "Album: Various Artists, Kanye West Presents Good Music, Cruel Summer (Good Music/Def Jam)". The Independent. London. Retrieved September 22, 2012. ^ Carroll, Jim (October 5, 2012). "Kanye West Presents Good Music". The Irish Times. Retrieved October 31, 2016. ^ a b Christgau, Robert (October 16, 2012). "Jamey Johnson/G.O.O.D. Music". MSN Music. Microsoft. Archived from the original on November 16, 2012. Retrieved October 16, 2012. ^ a b Elan, Priya (September 21, 2012). "Kanye West's Good Music - 'Cruel Summer'". NME. London. Retrieved September 24, 2012. ^ Greene, Jayson (September 18, 2012). "G.O.O.D. Music: Cruel Summer". Pitchfork. Retrieved September 17, 2012. ^ a b Weiner, Jonah (September 20, 2012). "Cruel Summer". Rolling Stone. New York. Retrieved September 20, 2012. ^ a b Weingarten, Christopher R. (September 17, 2012). "G.O.O.D. 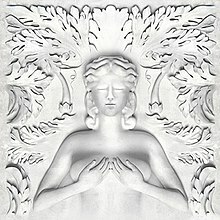 Music, 'Cruel Summer' (G.O.O.D. Music-Def Jam)". Spin. New York. Retrieved September 19, 2012. ^ Scheinman, Ted (September 22, 2012). "Various Artists: Kanye West Presents G.O.O.D. Music: Cruel Summer". Slant Magazine. Retrieved September 24, 2012. ^ Caramanica, Jon (September 19, 2012). "Man Who's Everywhere May Really Be Nowhere". The New York Times. p. C1. Retrieved September 19, 2012. ^ "50 Best Albums of 2012: GOOD Music Cruel Summer". Rolling Stone. 2012. Retrieved December 21, 2012. ^ Fleischer, Adam (September 18, 2012). "G.O.O.D. Music, Cruel Summer". XXL. New York. Retrieved September 18, 2012. ^ a b c d e Caulfield, Keith (September 26, 2012). "Pink Earns First No. 1 Album on Billboard 200 Chart". Billboard. Los Angeles. Retrieved September 27, 2012. ^ Tuch, Paul (September 26, 2012). "P!nk Scores First Number One Album". Nielsen Music 360° Report. Canada: 1. ^ Paine, Jake. "Hip Hop Album Sales: The Week Ending 11/4/2012". HipHop DX. Cheri Media Group. Retrieved November 14, 2012. ^ "G.O.O.D. Music Cruel Summer - Various Artists : Credits". Allmusic. Rovi Corporation. Retrieved January 14, 2013. ^ Hung, Steffen. "australian-charts.com - Kanye West Presents Good Music Cruel Summer". Retrieved 1 July 2016. ^ "- Kanye West Presents Good Music Cruel Summer". Retrieved 1 July 2016. ^ "Billboard - Music Charts, News, Photos & Video". Retrieved 1 July 2016. ^ Hung, Steffen. "danishcharts.com - Kanye West Presents Good Music Cruel Summer". Retrieved 1 July 2016. ^ Hung, Steffen. "Kanye West Presents Good Music Cruel Summer". Retrieved 1 July 2016. ^ Hung, Steffen. "lescharts.com - Kanye West Presents Good Music Cruel Summer". Retrieved 1 July 2016. ^ Hung, Steffen. "Kanye West Presents Good Music Cruel Summer - hitparade.ch". Retrieved 1 July 2016. ^ "2012-09-29 Top 40 Compilation Albums Archive - Official Charts". Official Charts Company. September 29, 2012. ^ "Kanye West Presents Good Music Cruel Summer by Various Artists on iTunes". Retrieved 1 July 2016. ^ "Kanye West Presents Good Music Cruel Summer af Various Artists på iTunes". Retrieved 1 July 2016. ^ "G.O.O.D. Music - Cruel Summer". 17 September 2012. Retrieved 1 July 2016 – via Amazon.